On March 24, the atrium was filled to the brim with music as vibrant as the colors and flavors of the Noche de Fiesta celebration. 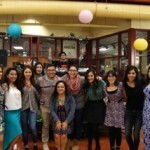 Hosted by Latinos for Christ club, the fiesta began at 9 p.m. and lasted late into the evening. Literally meaning “Night Party,” the Noche de Fiesta provided everything appropriate to a Latino celebration: food, dancing and music. Many students attended, whether they intended to or not. A good number of the attendees stumbled across the party as they walked through the J.C. Colorful lights and toe-tapping music ricocheted throughout the building, catching the attention of many walking past. 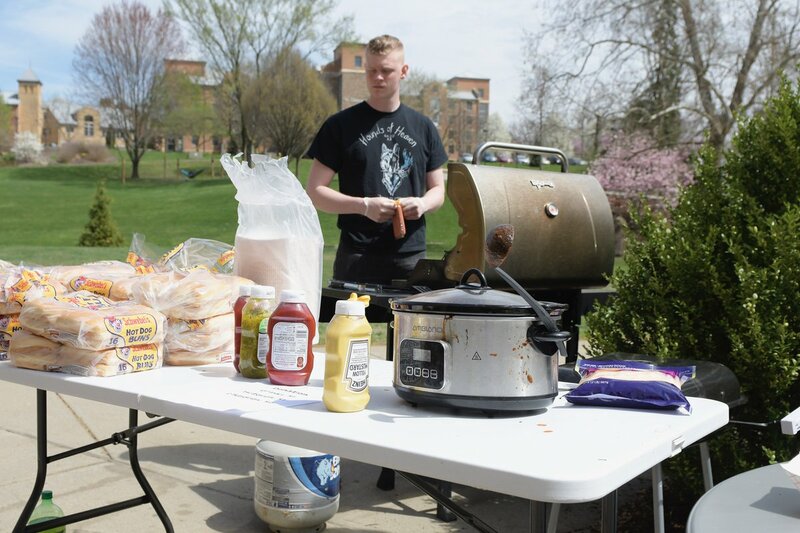 Natalia Andreu-Gutierrez, freshman nursing major and member of Latinos for Christ, said the event was originally intended to be an Easter celebration. However, due to a full event schedule in the J.C. Williams Center, the fiesta was set for March 24. Some guests made an effort to dress up for the event, while others popped in to dance in casual attire. 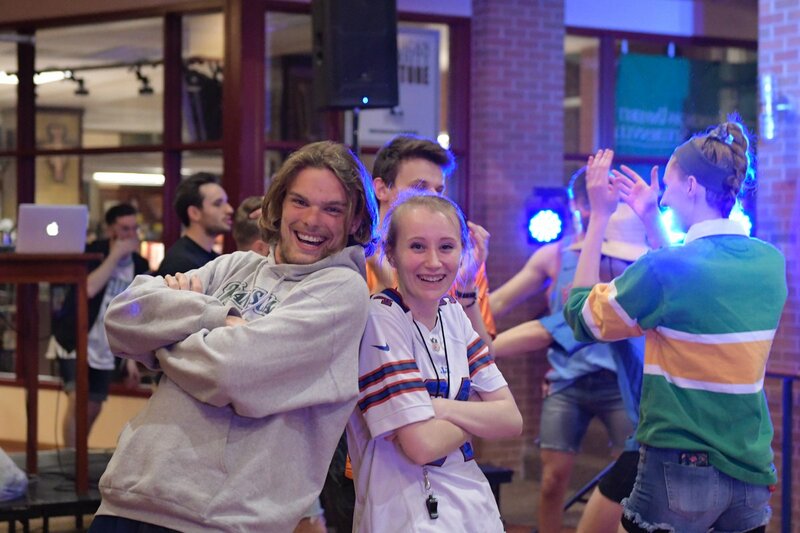 On the dance floor included students from Christendom College, visiting Franciscan for the rugby games which occurred that weekend. Students boogied down to authentic Latino tunes. Several students shared their talents in the middle of spontaneous dance circles. Others taught their friends the basic steps to salsa dancing. Hips swiveled, feet stepped, hair swung and shoulders shimmied to the lyrics and modern beats. The party was senior club president Jackie Gonzalez’s last dance before passing on her role to the club’s future president, Jessica Salazar. Both stood up at the end of the night and gave a few words on their gratitude for the club and all who attended the event. Alonda Flores, freshman theology and catechetics major, was excited to hear and dance to “Caballo Dorado,” a well-known group dance in the Latino community. Attendees clearly enjoyed the song, as they began line dancing as soon as it commenced. 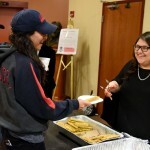 The Latinos for Christ club seeks to “embrace the Hispanic population” at Franciscan, said Andreu-Gutierrez, by hosting monthly events that celebrate faith and community as shared in Latino culture. Morgan Litterer, freshman theology and catechetics major, said she enjoys attending the Latinos for Christ events. “As one trying to learn Spanish, I think it’s great,” said Litterer. Latinos for Christ club meets every Sunday night at 7 p.m. in room G03, located to the left of the Gentile Gallery. All are welcome to attend and become more involved in Franciscan’s Hispanic community.